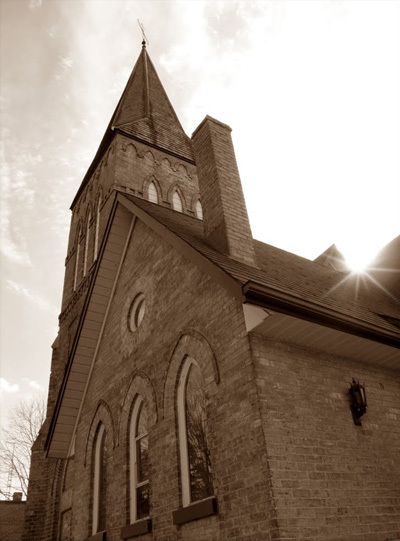 The congregation of St. George’s, New Hamburg has nourished the faithful and ministered to people’s needs in New Hamburg, Wilmot Township, and Waterloo Region since the early nineteenth century. 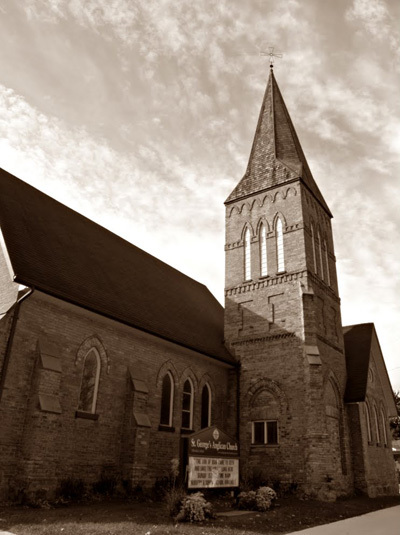 The current church, a neo-Gothic heritage building designed by renowned Canadian architect, Frank Darling, was completed in 1888. We are a community church that welcomes people of all ages who seek a deeper relationship with God and that reaches out to our community and beyond to help others. We aim to share the Good News of the Gospel by providing opportunities for growth in Christian faith, leadership, and community involvement. We worship together through song and word each Sunday at 10:30 a.m. During the service, we offer Sunday school classes for children from two to twelve, and the fourth Sunday of each month features an integrated family service. We are a very active parish that provides many opportunities for fellowship and purposeful living. Organized groups include our choir, parish council, women’s and men’s groups, prayer group, altar guild, and various outreach committees .Please join us in our various ministries, which you will find listed under “Programs”. See the fun and exciting upcoming events listed on the Outreach and Community Page!